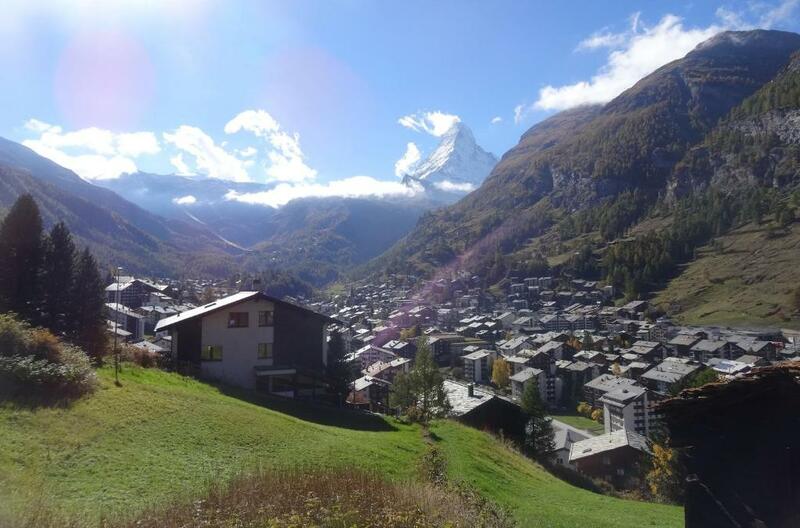 Fabulous place to stay overlooking Zermatt and views from every room up the the matterhorn. Great location, short walk into the village. Das Gädi ist eine absolut empfehlenswerte Unterkunft in Zermatt. Das Haus ist sehr gemütlich und ruhig und hat alles was man braucht (sehr gut ausgestattete Küche mit Racletteofen etc. ); zudem super sauber. Am allerbesten ist durch die Hanglage natürlich die fantastische Aussicht; wir hatten sogar so viel Sonne, dass wir in der Silvesterwoche Mittags vor dem Hause Essen konnten. Auch die Eigentümer sind sehr nett und brachten uns sogar einen Wein vorbei. Also wir können es nur empfehlen. Tout était parfait ! Le lieu est bien pensé, pratique et très joli ! La vue y est très belle et c'est un endroit calme ! Das Gefühl zu Hause zu sein: Das Chalet ist sehr gepflegt und hat alles was man benötigt für einen tollen Aufenthalt. Die Lage ist wunderschön... mit tollem Blick auf das Dorf und das Matterhorn. Sehr empfehlenswert! Un super accueil malgré notre retard, prestation de grande qualité. Un véritable coin de paradis pour les amoureux, une vue extraordinaire, confort exceptionnel! réservez les yeux fermés ! Lock in a great price for Chalet Gädi – rated 9.8 by recent guests! Chalet Gädi This rating is a reflection of how the property compares to the industry standard when it comes to price, facilities and services available. It's based on a self-evaluation by the property. Use this rating to help choose your stay! Zermatt’s Chalet Gädi offers guests a chalet with 3 floors and views of the village and Matterhorn Mountain. The accommodations has a modern bathroom, attic bedroom, kitchen and living room. Wood furnishings are featured in every room. The property uses energy-saving equipment and has not used any chemically-treated building products. Chalet Gädi enjoys peaceful surroundings and is a 10-minute walk away from the local train station and the Sunegga Cable Car. Zermatt village center is 0.6 mi away. Shops, restaurants, bars and cafes can be visited there. Please note that Zermatt is a car-free village. The closest Taxi facilities are a 3-minute walk away. When would you like to stay at Chalet Gädi? This chalet has 3 floors and views of the village and Matterhorn Mountain. House Rules Chalet Gädi takes special requests – add in the next step! Please inform Chalet Gädi of your expected arrival time in advance. You can use the Special Requests box when booking, or contact the property directly using the contact details in your confirmation.